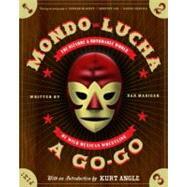 Wrestling Books - Books on Sports - Sport Books: Catalog of books about your favorite sports. 2019 Wrestling books on sale now. Buy your 2019 Wrestling books with us today. We have many Wrestling books to choose from and each purchase comes with the ease and convenience of Sportspool's online experience. We hope you find the Wrestling book that is perfect for you! "From Hulk Hogan and Mr. T to Stone Cold Steve Austin, The Rock and Vince McMahon, 'WrestleMania' provides an in-depth, behind-the-scenes look at the most exciting moments in the 'Super Bowl of the World Wrestling Federation'. Bundled with an exclusive DVD of great WrestleMania moments, 'WrestleMania' is destined to be the ultimate collectible for dedicated fans. 300 full-color photos." "A wrestling reference for Lucha Libre fans blends full-color photos, handbills, and mementos with a wealth of Luchadores's quotes, personal stories, and reminiscences."